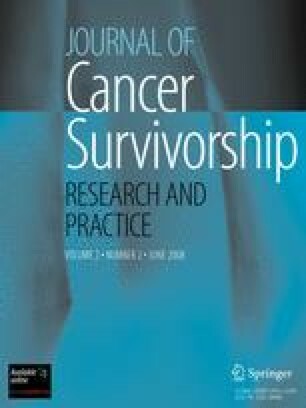 This study used qualitative methods to examine whether, and if so how, African American cancer survivors use spirituality in coping with the disease. Spirituality was defined using a model involving connectedness to self, others, a higher power, and the world. Twenty-three African American patients with various forms of cancer were recruited from physician offices and completed 1–1.5 h interviews. Data were coded by multiple coders using an inductive process and open-coding. Themes that emerged included, but were not limited to the aforementioned types of connectedness, one theme being connections to God. Given the important role of social support in the cancer experience, participants also emphasized their connectedness to others, which is in support of the spirituality model. Participants also articulated the notion that connections with others were not always positive, indicating that some perceived certain connections as having a detrimental impact on their well-being. Participants also expressed the desire to share their cancer story with others, often gained a new perspective on life, and obtained new self-understanding as a result of their illness experience. Findings indicate that African Americans perceive that spirituality plays a strong role in their cancer coping and survivorship. Spirituality may address a human need for certitude in crisis. Further research is warranted for model testing, and to examine the role of spirituality in cancer coping among those of different backgrounds and cancer types/stages. These themes may have utility for the development of support interventions for cancer survivors. We would like to acknowledge and thank Drs. Mark Dransfield, Andres Forero, Sharon Spencer, and Helen Krontiras for their assistance with participant access and recruitment for this study, and Pat Jackson for her role in data collection. This publication was supported by Grant Number (no. 1 U54 CA118948-01) from the National Cancer Institute, and was approved by the University of Alabama at Birmingham Institutional Review Board (no. X051004004).